THIS SPECIAL EDITION INCLUDES FOUR BRAND NEW NEVER-SEEN-BEFORE SCENES THAT TAKE PLACE BEFORE THE EPILOGUE OF THE ORIGINAL STORY. You are probably all wondering what is going on, aren’t you? 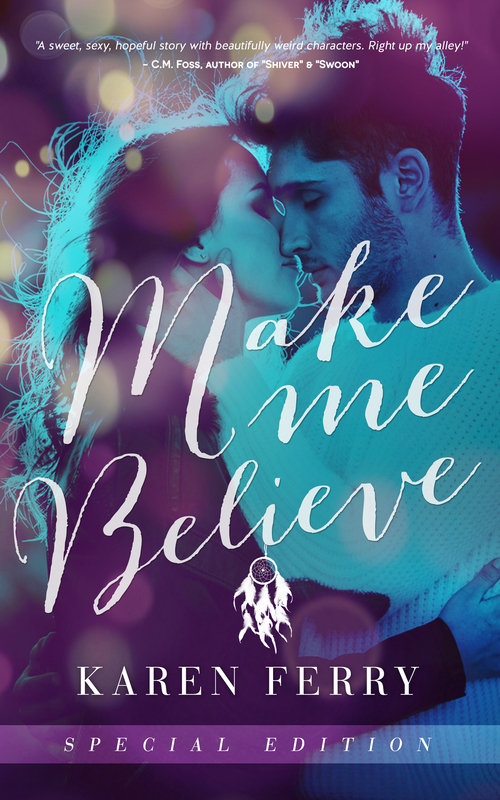 Well…I never planned on continuing Emma & Daniel’s story, but after having received numerous emails and messages from readers, all asking me for more, my brain began turning its wheels again. And once I started writing, I realised that I was nowhere near finished with these beloved characters of mine. The Special Edition includes FOUR brand new bonus scenes that all take place before the epilogue of the original story. You will see Emma and Daniel at various stages of their lives, and you will, naturally, also find that they have grown up a lot. The scenes span five years since they met for the first time, and I have absolutely LOVED being back inside their heads! 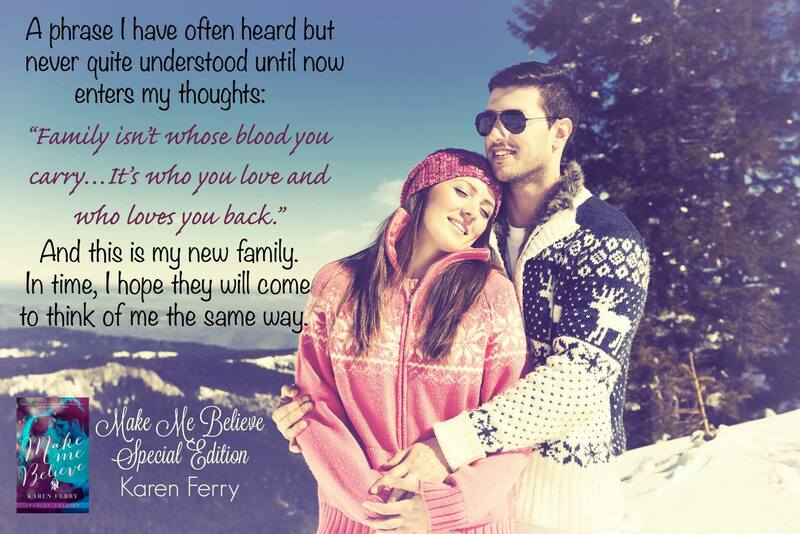 In some way, I am getting closure, or am now fully able to let them go – something that I just haven’t had the heart to do since I published “Make Me Believe”. It will also be available in print from this day. But for now: I hope you love the new cover as much as I do! Karen loves Italian food and wine, travelling, and spending time with her family. When she is not writing, she reads – her favourite genres are New Adult, Contemporary Romance, Erotica and Romantic Suspense. She can never get enough of romance. Or of too many book boyfriends, either.